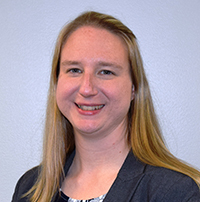 Lallemand Animal Nutrition announces Renee Machen joins the company as regulatory affairs and compliance manager for North America. Machen will work with the Lallemand Animal Nutrition quality assurance and research and development teams to maintain and renew approvals for all products registered in the United States, Canada, Mexico and the Caribbean. She will also lead efforts for obtaining new product approvals within each country. “Lallemand Animal Nutrition’s product line includes microbial solutions for animal feeds, silage inoculants and other microbials for environmental applications. Renee is uniquely suited for the responsibilities of managing regulatory compliance for such a broad range of products and services,” says Marie-France Duckett, Global Regulatory Affairs and Compliance Coordinator for the Americas at Lallemand Animal Nutrition. Machen brings four years of experience in regulatory compliance for a U.S.-based pet products company where she managed international product approvals for more than 1,000 pet food and companion animal products in more than 40 countries. She also spent three years managing a laboratory with 50 employees and performing research activities including molecular cloning. Machen’s love for pets led her to open a small general pet and pet supply store in southwest Virginia where she implemented a volunteer program for special needs students to obtain work experience. Machen received her bachelor’s degree in molecular biology from the Florida Institute of Technology and is completing her master’s degree in English and creative writing at Hollins University. For more information about Lallemand Animal Nutrition, visit LallemandAnimalNutrition.com.